Have you ever realized you are lightly stretching your facial skin upwards while you gaze into the mirror and then dreaming it was going to remain right there? Or perhaps the looseness of the skin on your arms annoys you? 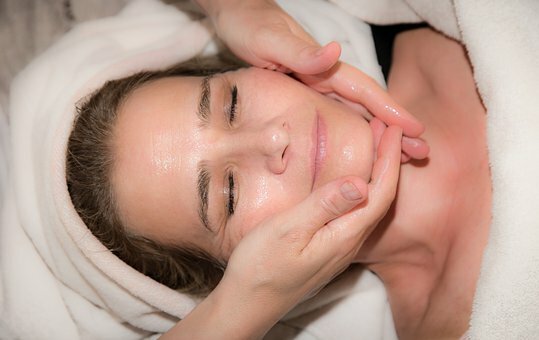 Sure, there are medical procedures including things like a facial rejuvenation that will most likely provide you with more significant results, however you can also choose from many other skin-tightening alternatives. Such alternatives require much less recovery time at a more affordable price. An added benefit is several of them could be effective on nearly every part of your body you are wanting to tighten. You should be able to discover many of these items for sale in your local store. Several of them make such lofty promises that the appeal to give them a try is just too great to resist. But before you invest any more of your hard-earned money for yet another skin-firming product, there are a few things you need to know. If, when using one of these products, you happen to see instant improvements, this is usually a sign that you have found a good quality moisturizing lotion. An effective moisturizer has the ability to plump the affected skin, reducing the appearance of wrinkles and fine lines. However, this effect is short lived and in order to keep obtaining these same results, you must continue to use the moisturizer on a daily basis. As far as the assertion that such lotions and creams will boost saggy skin, skin experts express it is far from being an attainable result. There is simply no lotion or cream which can penetrate the skin layer as far as needed to accomplish such a task. Nevertheless, you could obtain a modest difference if the solution includes an effective retinoid, like retinol, as this can assist the body in producing far more collagen. These types of treatments may be referred to as non-invasive due to the fact that they will keep the skin intact. They should not cause your skin to be tender or leave behind an incision or puncture wound once completed. You could possibly experience a bit of short-term inflammation or redness; however, this is typically the sole indicator that you received any treatment. Ultrasound technology is used to deliver heat therapy for below the top layer of skin. This heat may cause the body to make far more collagen than usual. Many people will notice moderate toning and lifting of the skin between two and six months after the first procedure. You could possibly achieve greater success after getting further treatments done. Dermatologists use a radio-frequent device on top of the skin to deliver heat to the tissue below. Many people are able to feel light toning immediately after the first treatment. However, just as with ultrasound therapies, you will begin to notice the final results after approximately six months once the body has had time to create more collagen, and you could probably obtain better results with multiple treatments. The final results may hold up between two and three years when combined with an appropriate skin care routine. Certain lasers are able to penetrate far beneath our skin to deliver heat without harming our outer layer of skin. Such lasers can be effective when treating affected skin on many different body parts but are particularly useful when treating saggy skin around the stomach and arms. This form of therapy could require between three and five procedures to obtain desired outcomes, which should steadily begin to show within two to six months following your final treatment. If you are considering a non-invasive treatment for skin-tightening, contact the medical specialists at Neuvo Health to schedule your initial consultation with one of our doctors.